Three questions for Trudee Romanek, author of Raising the Stakes. This Orca Limelights title comes out comes out October 13. Trudee, you’ve watched your kids compete in the Canadian Improv Games. To research Raising the Stakes, you took an improv class yourself. What did your firsthand experiences onstage teach you that you never could have learned from watching? I took the class because I needed to know what performing improv felt like. I learned just how much you depend on your fellow improvisers. I’ve been in plays but this went beyond working as a team. It was like placing your life in someone else’s hands. And I learned what it feels like to have the chaos of a thousand options fly through your brain in the split second you have to decide what you’ll do next. Then sometimes the chaos disappears and you draw a complete blank, with no clue what to do or say next. Those feelings are tough to fully appreciate without actually doing improv. Did your kids give you any advice on the book? Once I’d written a decent draft, I read it out loud to my two improv kids, Brina and Scott, as well as their improv teammate, Mauriccio. Their comments helped me fine-tune the interactions among Chloe’s teammates. They helped me better understand that established improv teams are like real-life families. Their members may not always be best friends but they are fiercely loyal to one another, even if “Aunt Susan” is kind of straight-laced and “Cousin Roy” can be a bit odd. There is a strong, unspoken bond among those members. My three listeners helped me sort out just how much Chloe’s actions could strain that bond without breaking it. Why did you call your book Raising the Stakes? The term “raising the stakes” means increasing the importance of a good or bad outcome. Watching a gold medal hockey final is more exciting than watching a local pick-up game because the stakes are higher. So much more is riding on whether or not the team wins. The term is used in improv as well. Improv performers (and writers, too!) always try to raise the stakes, to make the outcome matter more to the character so that it will matter more to the audience. So I had two reasons for choosing it as the title: because raising the stakes is a key element of improv and because Chloe raises the stakes of her team’s success until it feels as though her whole future is riding on that success. Trudee Romanek is a ham who loves to perform. 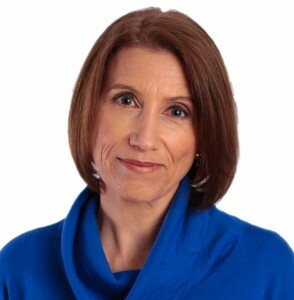 She is the award-winning author of a dozen non-fiction books for young readers. Raising the Stakes, an Orca Limelights book, is her first novel. Trudee lives with her family in Barrie, Ontario. 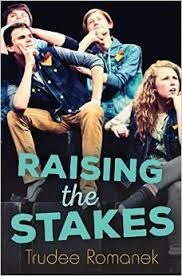 Raising the Stakes comes out October 13, 2015. Visit Trudee’s website or follow her on Facebook. You can meet Trudee and learn about improv firsthand at a combined launch/improv celebration. Enjoy workshops, demos, raffles, an improv performance and more. Sunday, November 8, from 3-9 pm. in Barrie, Ontario. And don’t forget to come out to the Betting Game launch Saturday, October 24, 2-4 pm. at Blue Heron Books in Uxbridge.